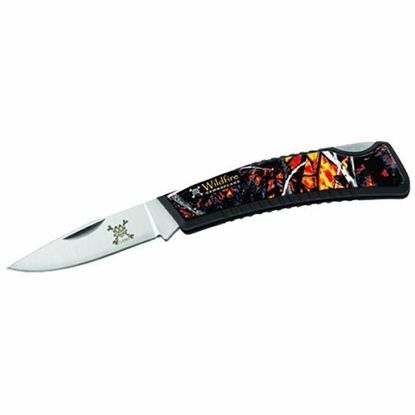 KutMaster is a division of the Utica Cutlery Company was founded in 1910 by a group of prominent Utica businessmen. It was felt that a metal working industry would create employment and bring economic balance to the area. The primary industry in Utica at the time was textile manufacturing. We are the oldest continuous same site knife manufacturer in the country. 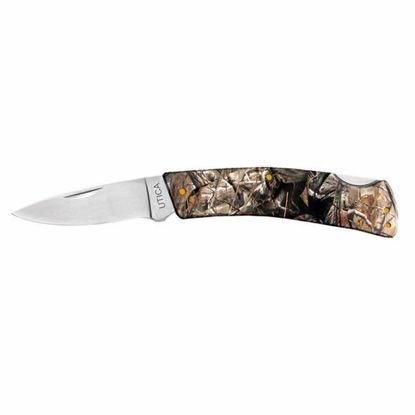 Kutmaster Knives Realtree Gentleman's Lockback folding knife. 2 " blade locks in position when in use. This rugged stainless frame lock has an overall length of 6.5". The 2.7" high carbon stainless black oxidized blade is hand honed to a razors edge. Blade locks in open position. Belt clip is on reverse side of knife. 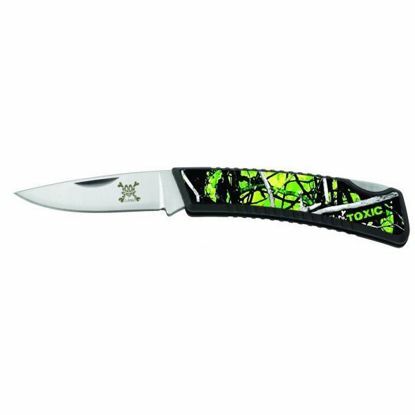 This rugged stainless frame lock has an overall length of 6.75". The 2.7" high carbon stainless black oxidized blade in hand honed to a razors edge. Blade locks in open position. Belt clip is on reverse side of knife. 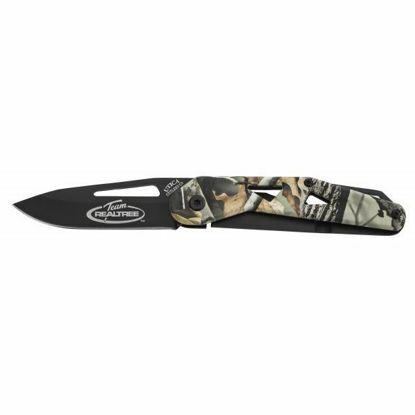 The ultra-light 3" lockback knife has an exclusive Toxic camo handle, and features a 2.5" 420 stainless steel blade with a lockback style Lock. 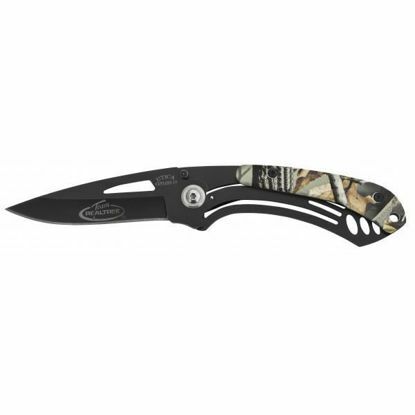 Great for a everyday carry knife.